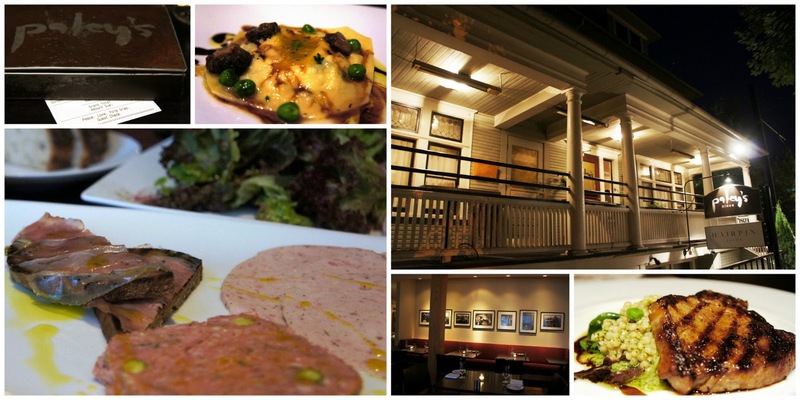 Portland, Oregon is one of the undisputed food capitals of the United States. I believe food is a huge part of the travel experience, whether in a foreign country or my own. 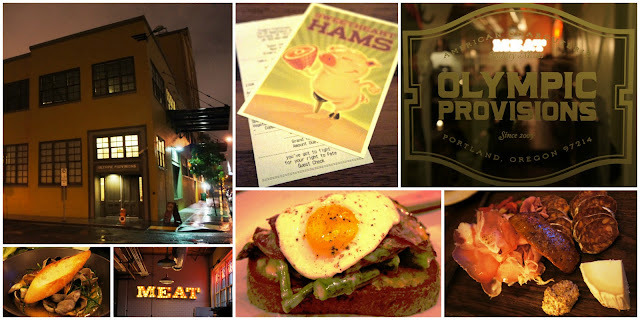 We recently enjoyed a road trip through Oregon and stayed for six nights in Portland, which gave us ample time to try out a number of restaurants, bars and other eateries. 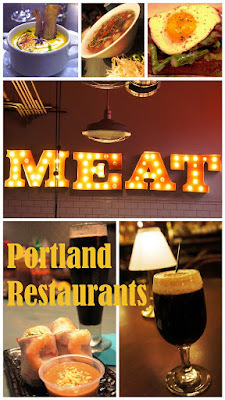 Amazingly, absolutely everything we tried was fantastic, and I highly recommend trying one or more of what I believe are some of the best restaurants in Portland during your next trip to Oregon. Beast was our favorite dining experience. Beast is in northeast Portland and has two scheduled seatings a night with a set six-course meal with optional wine pairing. What makes Beast even more unique is that the courses are assembled in the middle of the room, providing a food performance and allowing the patrons to see the skill, thought, and care put into every dish. Our meal included a buttermilk yogurt soup, a charcuterie plate (including a foie gras bon-bon, liver mousse, steak tartare, and duck breast prosciutto), a perfectly cooked and visually beautiful pork loin, a salad with beets and edible flowers, a selection of cheeses, and a chocolate tart. Olympic Provisions is Oregon’s first USDA certified meat-curing facility. It is known for meat, meat, and more meat. 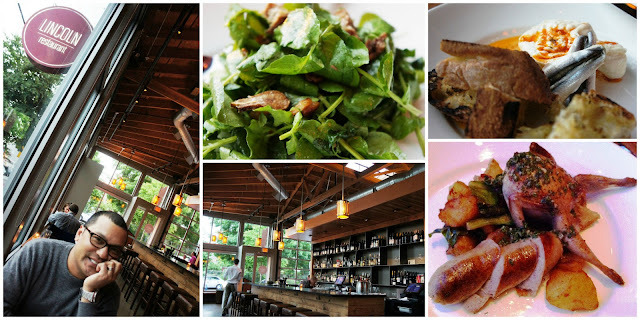 Olympic Provisions’ original southeast location is small and casual in a restored industrial building. We had the Spanish charcuterie board and cheese, and, to counteract all of the meat, a salad, clams, and roasted asparagus served with a fried egg. There was a fun note on the bottom of the check saying, “you’ve got to fight for your right to Pate.” They also brought the check out on a cute but slightly disturbing postcard of a peg-legged pig happily and proudly offering a ham (previously known as his leg). 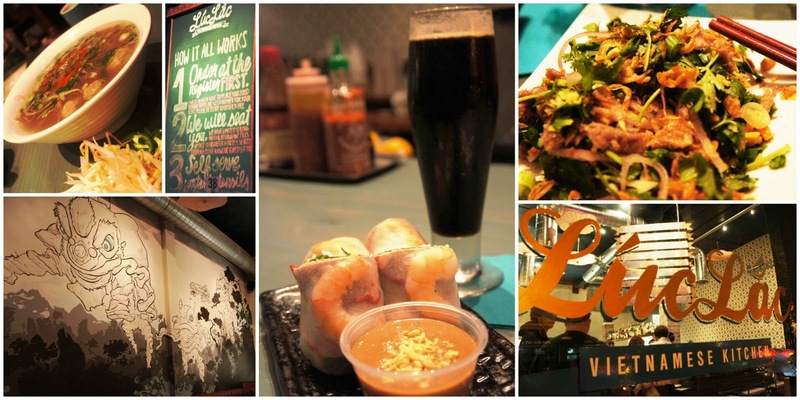 Luc Lac Vietnamese Kitchen is a trendy Vietnamese restaurant in the downtown area. To be perfectly honest, I was a bit turned off by the vibe of the place at first. The front of the house servers are mostly young men in preppy outfits and bow ties, and the one that helped us had the attitude of being too cool. If you’ve ever seen the movie Date Night, just think of the restaurant at the beginning of the movie when the host answers the phone, “Claw, you’re welcome,” except less expensive. However, the people in the back of the house know what they are doing. The food was extremely good, reasonably priced, and, bearing in mind my limited knowledge of Vietnamese food, seemed very authentic. I had the pork and shrimp fresh spring rolls, which were flavorful and beautifully wrapped and presented, as well as the bo tai chanh, which is a salad by name, but really is a plate piled with thinly sliced rare steak with onions, fresh herbs, pineapple and citrus juice, peanuts and shallots. The flavors of the bo tai chanh were incredible, especially when enhanced by a pepper sauce available on the bar in an unmarked squeeze bottle. Romeo ordered the three meat combo (round steak, brisket, and meatball) pho, which was huge and delicious, his favorite part being the brisket. Lincoln is an unpretentious restaurant with a small menu in a remodeled warehouse in northeast Portland. The fare is simple, but extremely well done. We shared the burrata with white anchovies and bruschetta and salad with crunchy pig ears and bacon. I had the stuffed quail with potatoes and Romeo had the half chicken. 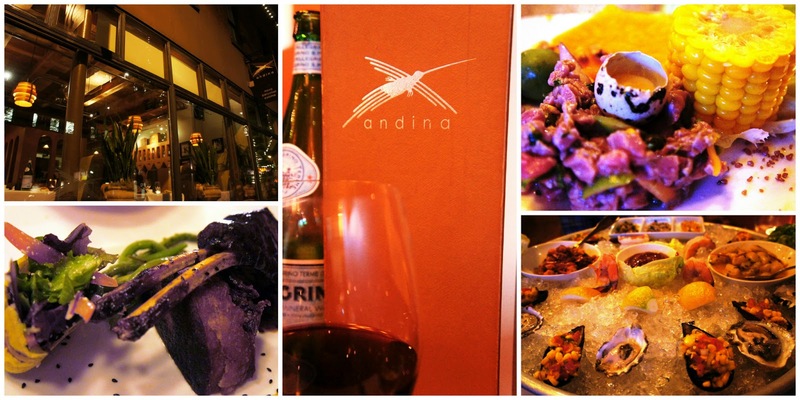 Andina is an upscale Peruvian tapas restaurant in the Pearl District. It is very big and crowded, with a large staff which moves seamlessly through the restaurant. We started with the beef tartare with quail egg, corn, sweet potato, and nuts as well as a chilled seafood platter with oysters, mussels, octopus ceviche, scallop ceviche, and prawns, and we split the rack of lamb. The People’s Pig is a food truck at which we ate lunch one day. Food trucks have become increasingly popular, but while I am used to the kind that drive around to different locations, in Portland there is an entire block and more of permanent food trucks. The People’s Pig is on Washington between 9th and 10th and is open every day for lunch, though not all of the other trucks are open on the weekend. As you may have gathered from a previous post, Romeo and I have a special place in our hearts for porchetta. While not the same as the porchetta in Rome, the porchetta sandwich with arugula and lemon is melt-in-your-mouth delicious. The other food trucks offer quite a variety, including burgers and gyros and Asian, Indian, and Egyptian cuisine. Salt & Straw is Portland’s self-proclaimed “farm-to-cone” ice cream shop. The ice cream is handmade with local, organic, sustainable ingredients. We went to Salt & Straw’s original northeast Portland location after our dinner at Lincoln. When we walked in the door we were practically knocked off our feet by the delicious aroma of freshly made waffle cones. Even though it was 45 degrees outside, there was still a crowd. The chalk board suggested that I warm up with spiced banana and walnut ice cream with hot fudge, so I did. Excellent choice. Yakuza Lounge is a bar and restaurant next door to Beast. 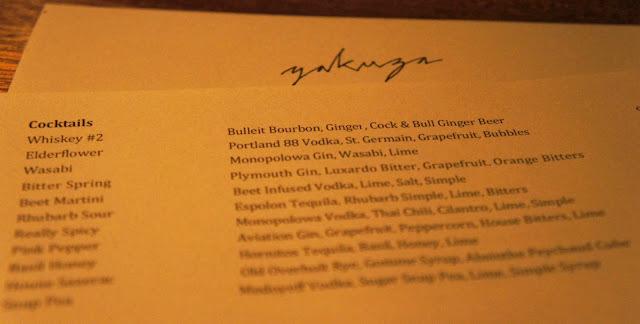 We arrived a little early for our second seating dinner reservation, so we stopped in at Yakuza for a pre-dinner drink. I actually did it wrong and ordered a warm sake because I thought I would get the wine pairing with dinner, but then I started reading the unique list of cocktails on the menu and had serious regrets. The bartender Daniel Strong must have sensed my sadness (or overheard me), and prepared for me an Elderflower, a refreshing grapefruit vodka cocktail. Imagination and creativity are apparent in Yakuza’s cocktails, which include ingredients such as beet infused vodka, rhubarb simple syrup, and house bitters. While we were there Daniel was creating bitters with coffee and spices. If you go to Beast, or even if you don’t, visit Yakuza for a cocktail or two. 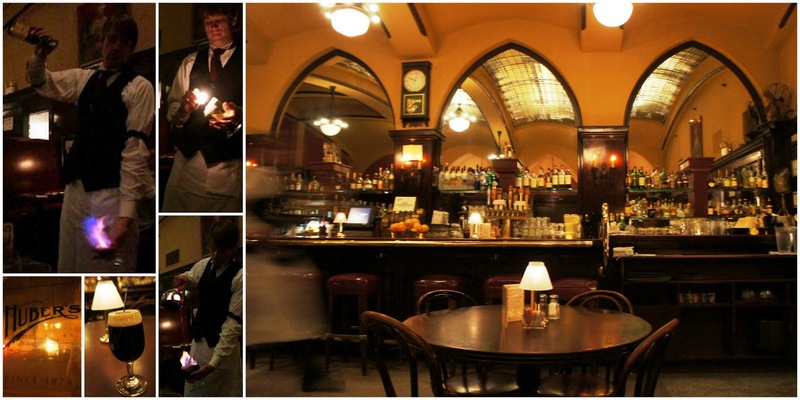 Huber’s Cafe is Portland’s oldest restaurant, established in 1879. Their food specialty is the traditional turkey dinner, but their drink specialty, the Spanish Coffee, is the reason we went. We stopped in at Huber’s after our dinner at Andina. Huber’s Spanish Coffee is made with Kahlua, Bacardi 151, Bols triple sec, and coffee, in a melted sugar rimmed glass, topped with whipped cream and nutmeg. While delicious, it is not so much the drink you are there for, but the performance. The Spanish Coffee is prepared tableside with a flaming glass circling through the air as alcohol and coffee are skillfully poured in. The experience is a must. Luc Lac does not take reservations. For all of the other restaurants I mention, I highly recommend making reservations a few days in advance, and they are imperative at Beast. While I am a big believer in the use of guidebooks for planning vacations, they are not always ideal for finding the best restaurants. 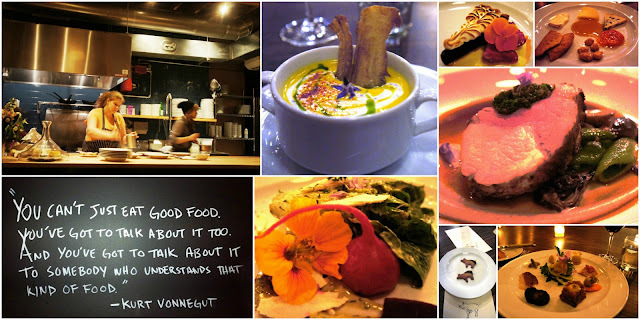 A friend recommended Andina and Beast, I learned of Olympic Provisions, Lincoln, and Salt & Straw from Andrew Zimmern’s Bizarre Foods America, and I found Luc Lac, Paley’s Place, and The People’s Pig through internet research. Huber’s was the only one I chose by using my Frommer’s Oregon guidebook, and Yakuza was an accidental find. I read reviews of all of the restaurants on Trip Advisor to help narrow down my choices, as I did have a longer list. Four other restaurants we lacked the time to visit but were highly recommended are Le Pigeon (recommended by Andrew Zimmern), Le Pigeon’s sister restaurant Little Bird (recommended by another travel blogger, Keryn of Walking on Travels), Doc (recommended by a friend), and Ox (recommended through internet research and by Paley's Place). Are you hungry yet? Have you been to any of these restaurants, or are there any other restaurants in Portland you would recommend?